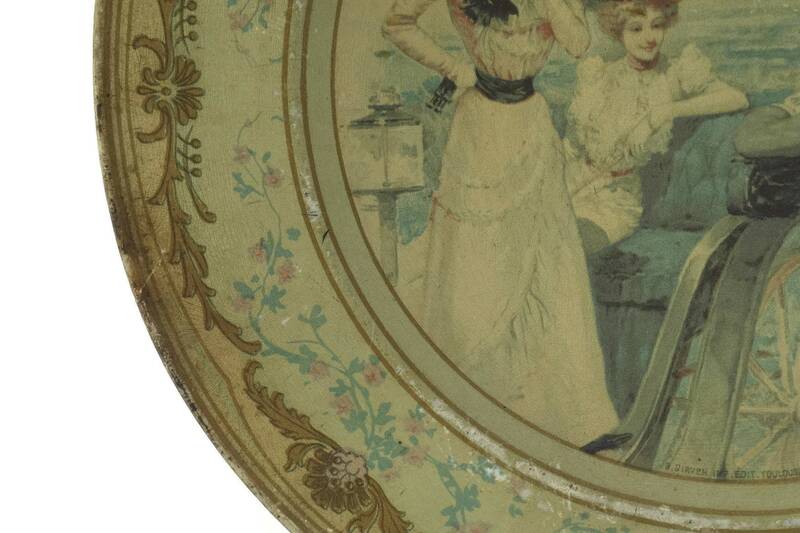 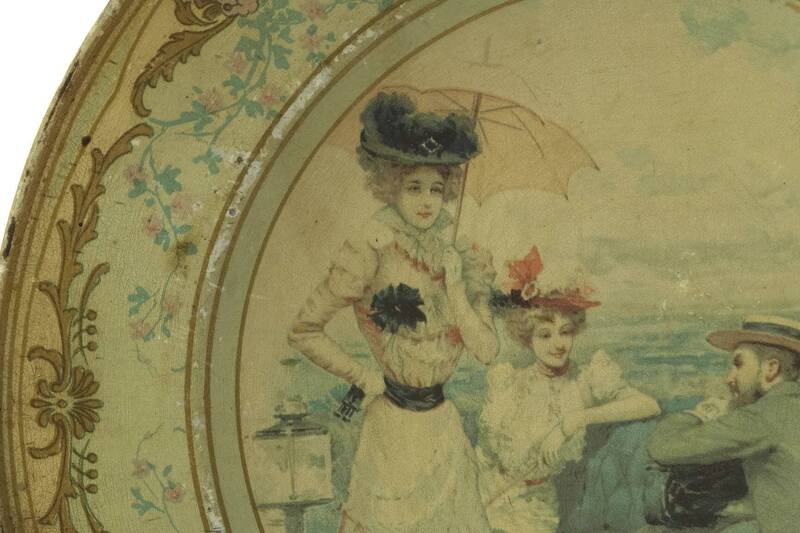 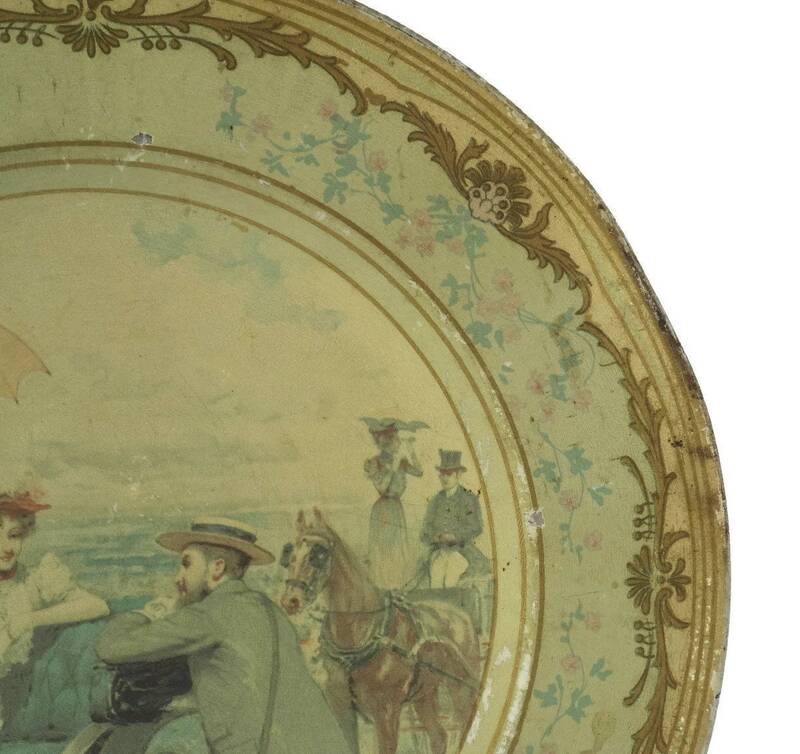 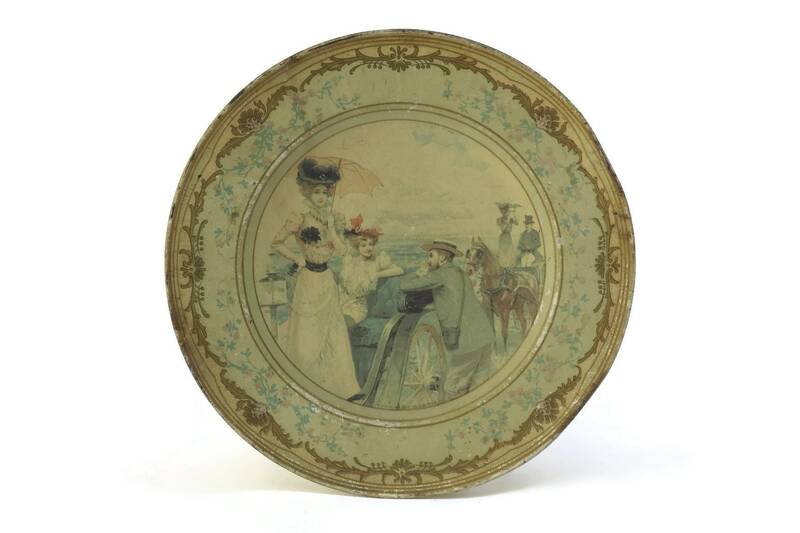 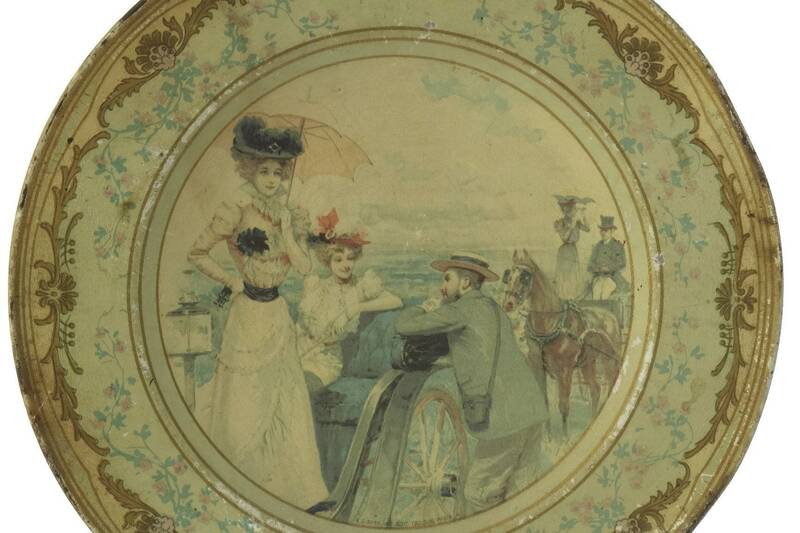 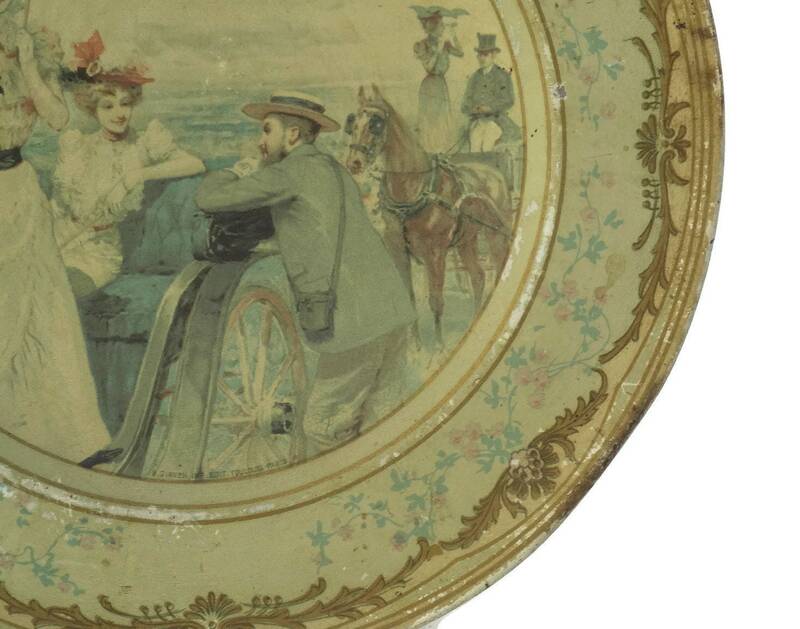 A delightful French antique courtship scene plate from the early 1900s. 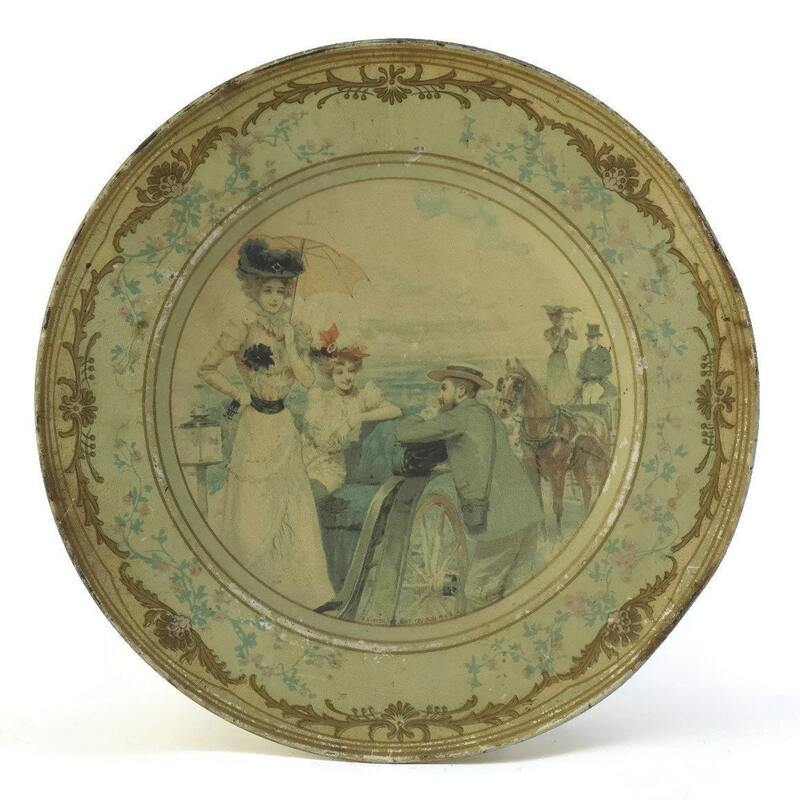 It has been manufactured from tin and decorated with a romantic pastel litho art image of a courting Victorian couple at the seaside. 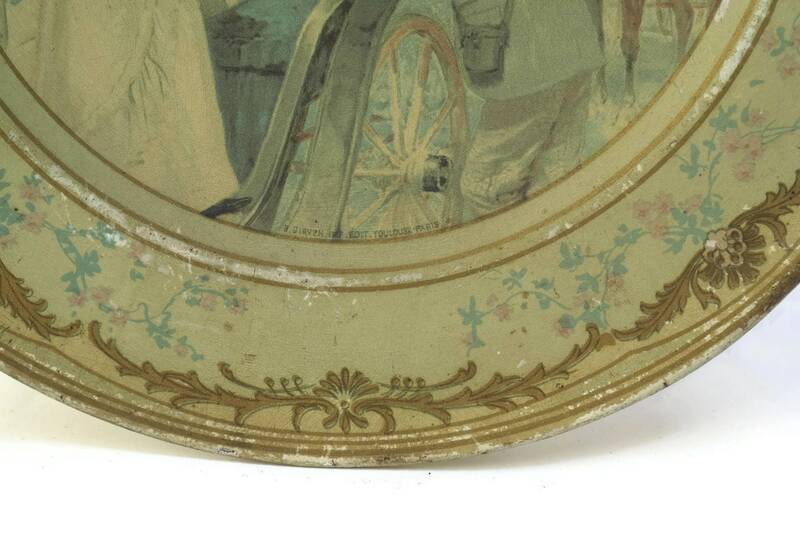 The rim of the wall plates feature an ornate lithograph gold tone design. 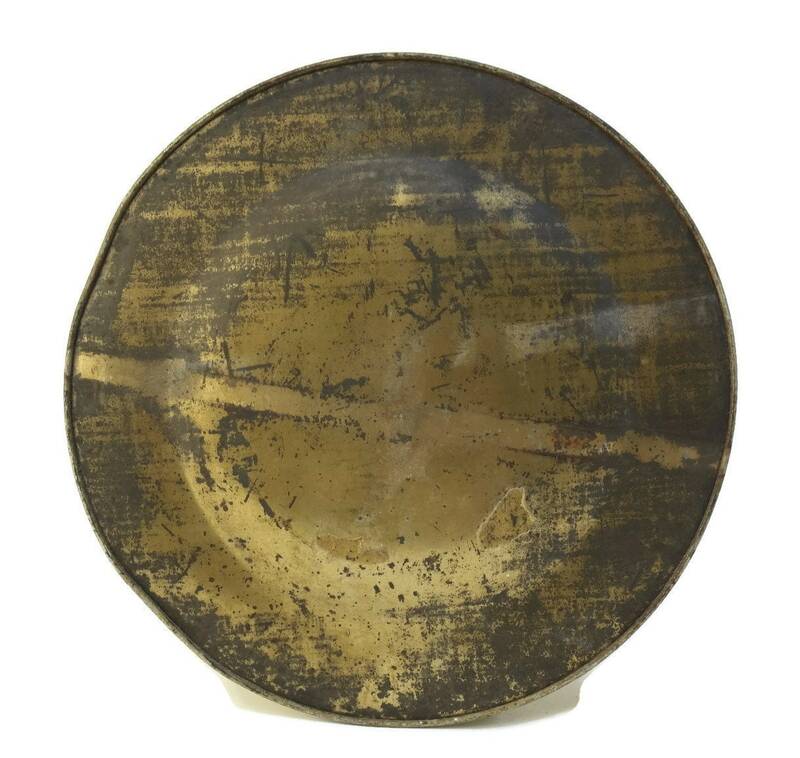 8.75" in diameter (22 cm). 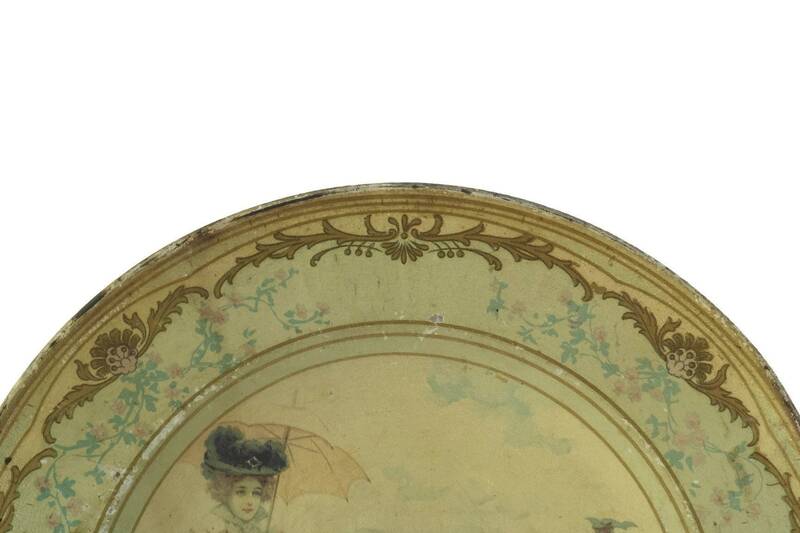 The antique cabinet plate is in good condition with some signs of age and wear including surface marks, scratches and patina.